Parking sensors, for safety, are fitted rear only or dual front and rear. We colour code to suit your vehicle. We fit the sensors into the original bumpers to give the original factory look. Supplied as well as fitted from £199 – great for those awkward parking situations. Give us a call with your make and model for an instant quote or email sales@skidz.co.uk. The sensors detect obstacles both behind as well as in front of your vehicle. Sensors are great to aid your parking as well as enabling you to get into tight spots without damaging your car. Using Ultrasonic technology, the sensors emit a cone of sound behind your car which bounces off obstacles behind and returns to the sensor. The time taken for the sound waves to bounce and return from obstructions behind your vehicle is how it calculate the remaining distance behind you. Apart from the obvious safety advantages to having reversing sensors, there are also other benefits. Another great benefit is financially sensors will pay for themselves. If your sensor stops you from having just one accident, it has already paid for itself. Regardless of your insurance there is always that “excess” on your policy, usually a minimum of £100. Additionally, any claims you make could damage your no claims bonus and would impact on your renewal fees. 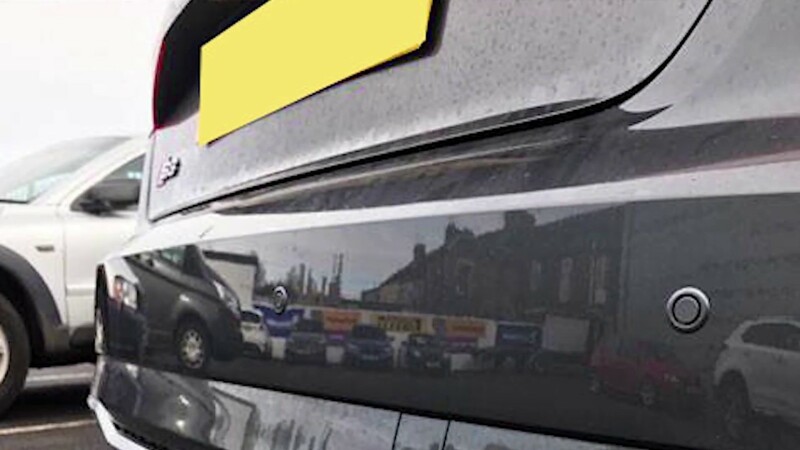 Park with confidence using our rear or dual parking sensors. If you are in Scotland and looking for more information about our parking sensors, please free to contact us today. We would be happy to help.